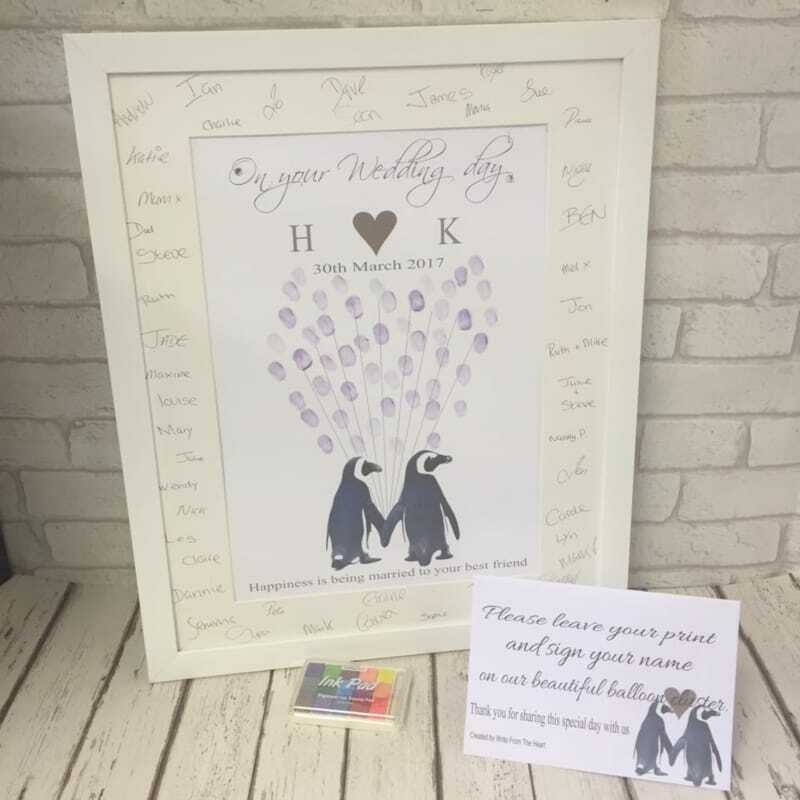 PACKAGE INCLUDES- A PERSONALISED DESIGN MOUNTED IN A DELUXE CARD MOUNT WITH BACKING BOARD AVAILABLE WITH OR WITHOUT FRAME, MULTI COLOR INK PAD & INSTRUCTION CARD. Diamantes and 3d hearts are added by hand to the finished design to make it even more special! To order add the information you wish to be printed onto your chosen design & choose the quantity required. Click Add to basket and follow the payment options. Payment is accepted by paypal, credit or debit card. All designs are printed onto high quality photo card using top of the range photo printers to ensure maximum quality.